Thank you to all who participated – check out the winning posters: here! Check out this video tutorial from Edward Randviir (Manchester Metropolitan University, @EdwardRandviir) explaining how to search for hashtags in Twitter and how to take part! Top tips for making a poster specifically for Twitter are available on the BetterPosters blog, written by Zen Faulkes (@DoctorZen). 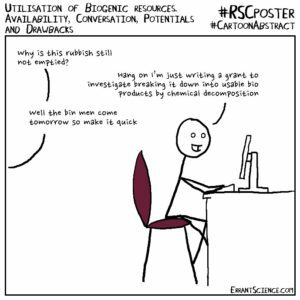 Win cash prizes if your #RSCPoster and presentation is deemed best by the 2019 subject chairs. Analytical Science Network, Analytical Methods Committee, Chemical Biology and Bioorganic Group, Applied Catalysis Group, Education in Chemistry, Chemistry Education Research and Practice, Alvatek, Environmental Chemistry Group, Applied Materials Chemistry Group, Chemical Nanoscience and Nanotechnology Group, Organic & Biomolecular Chemistry, Physical Chemistry Chemical Physics, Chemical Science, Process Chemistry and Technology Group. See information from previous events here or see the previous events on Twitter via the subject hashtag links above or here. 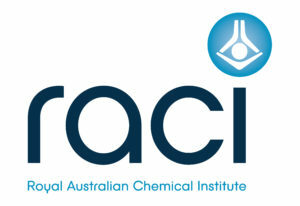 In the spirit of the recent partnership between the Royal Society of Chemistry and the Royal Australian Chemical Institute we are delighted to announce the RACI will be supporting #RSCPoster by awarding prizes to the best posters presented by Aussie chemists. Just add the hashtag #ozchem to be in with a chance of winning a year’s free RACI membership and a copy of A Century of Bonds! What size/format should my poster be? Please don’t get carried away and use Twitter-bots. We want everyone to actively participate and engage in discussions to get the most out of the event.